I learned an important lesson a few years ago from a designer working at Apple. He said the more constraints you have, the more magical your designs tend to become. This post is intended to take you through what I’ve learned thus far as a result of that encounter and hopefully allow you to see life’s limitations as a springboard of possibilities. 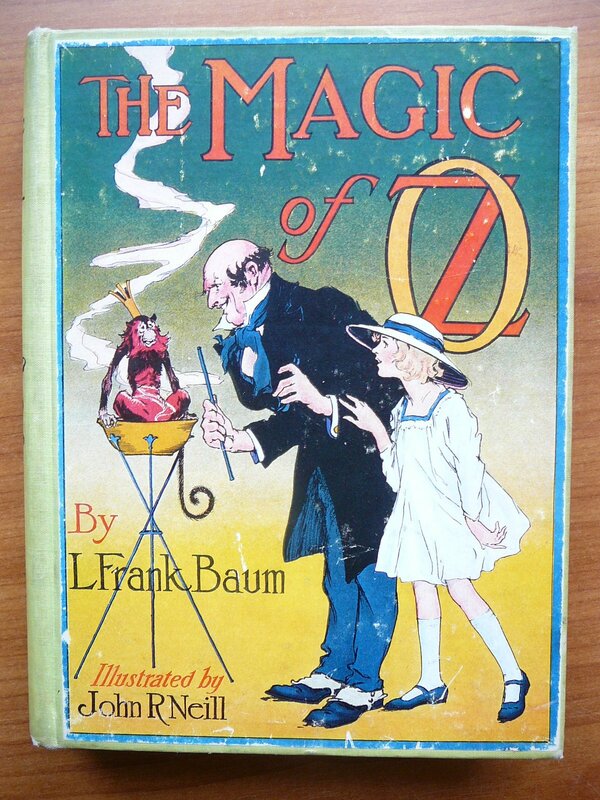 Growing up I loved the concept of magic and owned a few magic kits. I never really got to put my magic to work in front of a large audience until a traveling magic show came to perform at our elementary school. Each teacher was asked to pick a student from their class to be in the show. I was picked by the teacher and I have to admit I was a little apprehensive tending to be on the shy side. I did however love the idea of being able to practice a newly learned trick and finally having an audience, even if it was the entire school. That morning I met with the magic company so they could teach me and the others chosen how to perform all of the tricks for the show later that afternoon. I was paired up with another boy to do an escape from a magical trunk. The trick was they would put the other boy in the trunk, lock it, and I would stand on top of the trunk to “ensure he couldn’t escape even if he managed to somehow get past the lock.” The magician would pull a hula hoop attached to a curtain up and around us so the audience couldn’t see us for a few moments and “magically” the boy in the trunk would appear on top of the trunk and I would disappear. Once the magician opened the trunk I would appear and the audience would be even more amazed. What the audience didn’t know was the trunk did lock as a volunteer from the audience proved, but on the inside was a small lever that allowed the person inside to unlock it. Luckily the trick went off without a hitch and my friends were amazed, or at least entertained. I’m in my mid thirties now so it has been quite a few years since that show but even in my professional years I’m still quite intrigued by the concept of magic. Creative companies, and most companies who offer their customers an experience have used the word magic in their products. Disney is one of the most famous companies that likes to make its customers forget their problems and bring visitors back to their childhood as soon as they enter the gates. Disneyland has even branded itself “The Magic Kingdom” and it is hard to walk away from your experience at one of their parks or media properties without feeling the magic. Where things get interesting in the professional world is when you limit yourself because time and time again I’ve found those constraints to be what drives some of the most creative things I’ve done. When you give a web designer 1280+ pixels to design a website they won’t hesitate to fill the page with features and content because they have the space. If you give that same designer 640px (iPhone resolution etc) they tend to stop and reconsider every pixel because they are now space constrained. The less space you have to work with, the more difficult it is to meet the original requirement. Those consuming your design will expect magical things to happen with each interaction because interacting with smaller device, say a phone, is often times more difficult for them. In the web space it is interesting because if I was to ask you to think of the last website you went to that you would describe as “magical” you might have a tough time, right? However if I was to ask you to tell me about a time when you interacted with your smart phone and it did something “magical” you would have no problem thinking of an entire list of examples. The best example of this principle is when I first used Shazam on my smart phone. Being able to hold up my phone within the proximity of a song playing and have it tell me the artist and song title was magical. Another great example was I tried Uber for the first time a few weeks ago and I have to say that experience was also magical. If you are not familiar with Uber it allows you to get transportation, often within a few minutes, right from the tap of a button on your smart phone. Upon leaving the car you are automatically billed the agreed upon amount via PayPal or a Google Wallet account you setup beforehand. Whether you call them magical moments, or wow moments, I am really passionate these days about designing magical moments. I’ve always been someone who loves to create, but often find myself jumping from idea to idea rarely finishing most projects. I have found the projects with a deadline, or often, a sudden deadline are those I tend to finish. The reasons why projects with deadlines likely get finished as compared with the others is you will be held accountable for meeting that deadline, or in other words you now have a constraint. When writing try and give yourself a deadline to finish it, or give yourself rules like not being able to use the backspace key to free write. In the past when I’ve had to create videos it is usually designed to educate and entertain the audience. I can’t tell you how many times I’ve created something I thought was fantastic only to be told to “cut the length in half.” I’ve heard things like “people these days don’t have time to watch a two minute video” to “it has to be a minute or less.” What is interesting is although I initially liked the initial video, time after time the final video tends to be better because of the constraints I was given. Have you found life’s limitations have helped you create magical moments? Tell me about your experience. 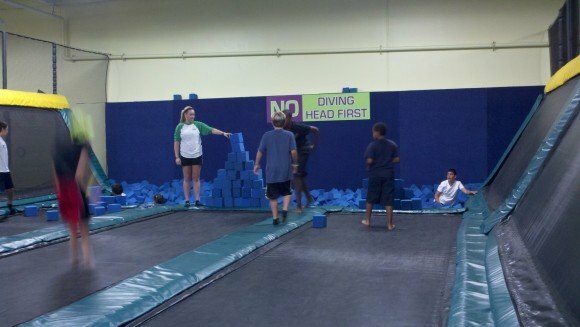 My son was at a trampoline park a few months ago and I took this picture because it made me think of a concept I learned in a gamification class from Mario Herger last year. As humans we love challenging ourselves with obstacles. Often times we find obstacles so engaging we will intentionally give ourselves challenges in order to see how far we can push ourselves, as well as how we compare to others when presented with obstacles. Sometimes we enjoy obstacles so much we will find overcoming such obstacles is the most rewarding part of what we are looking to accomplish. The designers of golf courses create sand traps in locations of the course that create obstacles to make a difficult game even more difficult. 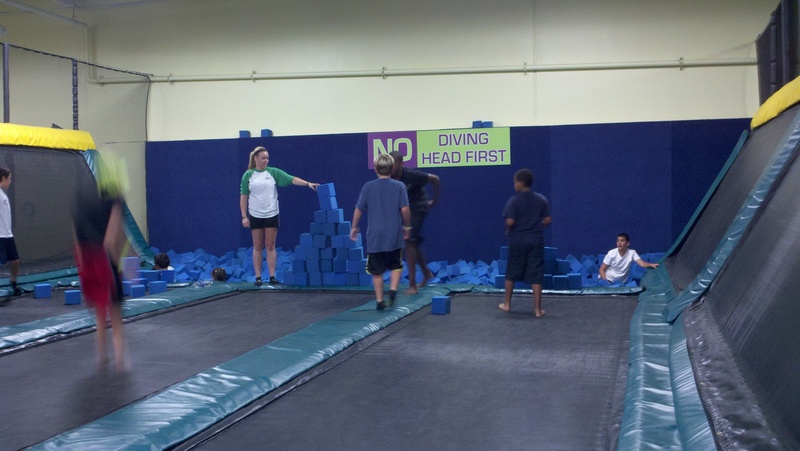 When the kids in the photo were given a foam pit to jump into they found merely jumping into the pit wasn’t fun, or challenging enough so they built a foam wall to try and jump over. In life do you have a foam wall to challenge you? If you do have a wall is it challenging enough to push yourself to heights you didn’t know you were capable? Who Would Want to be Normal? My favorite part of the video is when it says “normal can never be amazing” and “who would ever want to be normal?” As you go about your work, if you feel passionate about what you are working on, chances are that work won’t be normal, it will be amazing. Every time I see a Mini I now think of the video (so probably great marketing to BMW’s credit). If you walk down the hall people will see you and likely think about what you have done for them. Will those people think your work is amazing? Started Amazon before anyone even started thinking about e-commerce at scale. He is willing to take enormous risks at any cost. He left a high profile Wall Street job to start a company that few believed in. An e-commerce bookstore in ’94? He is a visionary. Started with books, expanded quickly to nearly everything. The strategic risks continue. Bought Zappos, has left them alone. Is letting Tony continue to work his magic. Wants to bring more of the Zappos culture to the rest of Amazon. Saw ebooks coming, thanks to Jobs/iPad. Pivoted and developed the Kindle. My wife and I love our Kindles. Gives the Kindle/Fire away at cost, or next to cost and makes money on services/goods from using the device. Loses money on shipping (Amazon Prime etc), will do anything it takes to win your business (see this). 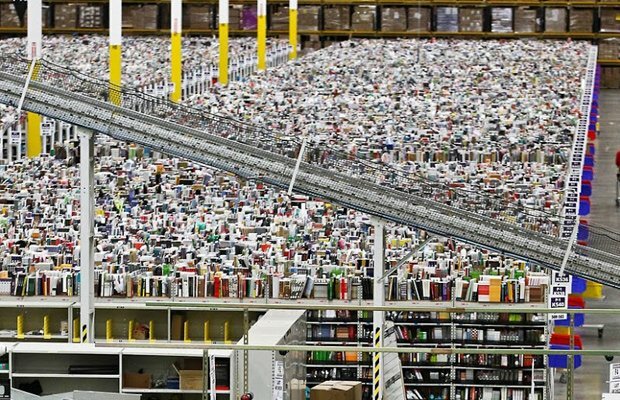 Amazon’s supply chain. Look at these pics! Robotics. He didn’t just invest in Kiva, he bought the entire company! If you haven’t seen this video, it is a must. They use psychology to encourage you to make more (and better) purchasing decisions. They are masters. Look at me when I did Christmas shopping. They know people will do shopping for themselves and used my own data to temp me. Analytics/Algorithms. Amazon has the best recommendation engine. Google has to be worried about this. You don’t go to Google to search for products, you go to Amazon. He isn’t done. Amazon is still going strong. He still has more tricks up his sleeve, you can bank on that. I’m sure I missed lots of things. I have my eyes on Bezos (I personally think Amazon’s stock is overvalued though!). He will win continue to win until someone disrupts the great disruptor. Whoever that will be, it won’t be easy. When I was in college I worked at the Safeway in Bowie, MD. I did lots of jobs in the store and learned a lot from all of them, but I think I learned the most while working seafood. I liked working in seafood most because it was like running my own business. Most days and nights it was just me behind the counter and I had a small corner to sell seafood. One of the things I learned while working in seafood is it stinks. I would work and then put my shoes in a plastic bag I kept in my car’s trunk so I wouldn’t smell up my car. When you work more than 30 minutes in seafood you smell like seafood, there is no getting around it I’ve found. Whether the seafood is fresh off the truck or not, seafood has a unique odor to it and after working with it for a few hours, you will too. Similarly in life, if you are around someone for long enough you will start to take on characteristics you may or may not like. Be careful who you surround yourself with. Another thing that working in a sometimes smelly department taught me about life is no matter what you do, life is going to stink for you or others around you at one point or another. I am convinced there is a communal mood across the masses. You know how there is the saying “it must be a full moon”? When working retail I interacted with hundreds of people a day. Depending on what you believe, whether the law of attraction or the law of “full moon”, moods across the masses, for the most part, seemed fairly consistent. I don’t know that the law of attraction always works because I think we’ve all had days where you are in the best mood and ready to really tackle life and as soon as you interact with a few people you see a pattern of moods across the office, coffee shop, or home life. You can’t control the mood of others so don’t let them affect yours. There is a saying in life that “if it sounds too good to be true, it probably is” and similarly in life if something smells fishy don’t do or buy it. Trust your gut. I don’t think I need to say much about this, just rely on your instincts, they are usually right. One of my favorite business interactions was also while working in the seafood department. As a young college kid on weekends I was usually scheduled to come in at 7 am and set up the seafood case which meant putting fresh crushed ice in the case, laying out trays in rows, and finally putting the product on the trays with proper signage. One of the weekends the District Manager was in the store and had a brief interaction with me as he was inspecting the case I had set up. I felt pretty proud of myself and the job I had done setting up the case that particular day so I asked how he thought it looked. How he responded might seem like common sense, and I think it is, but as I’ve found over the years what is common sense doesn’t always mean we do it. He responded by motioning for me to come over and stand next to him about 20 feet away from the seafood case. As I stood next to him he said “Jeremy what I do isn’t all that hard and I’ll teach you a secret, business is all about taking a step back every now and then.” He next said, “you see that hole where you don’t have any product in that tray over to the bottom right of the case?” I immediately replied with “yeah, I am running low on that” to which he said, “yeah so break that tray up into two types of product so there is product everywhere the customer looks”. He said, “customers won’t buy a product they can’t see and they don’t and can’t buy those metal trays…they aren’t for sale…our seafood is”. As basic as a concept as it is, taking a step back resonated with me and I’ve used that simple “secret” the DM taught me throughout life from that point on. This one has always intrigued me. 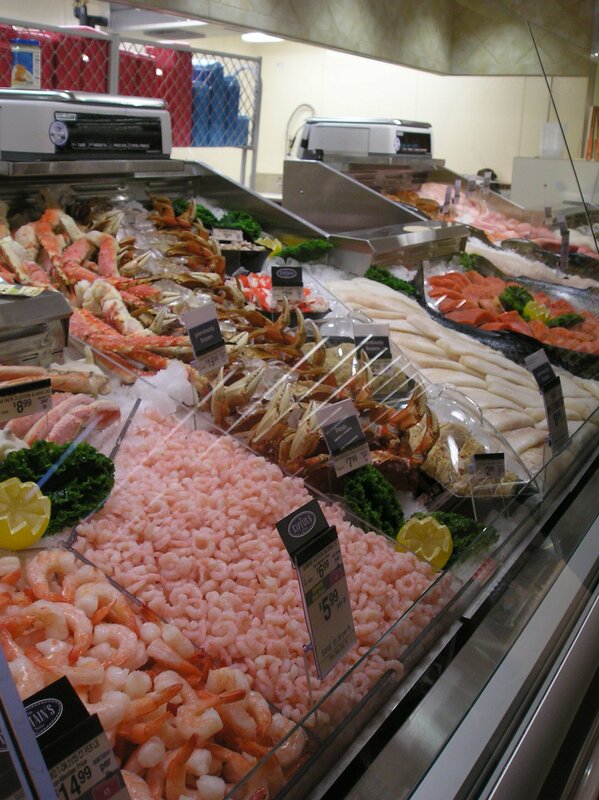 Seafood isn’t the most popular thing people think to buy when they are in a grocery store. There can be a negative connotation to it for some. Trust me, if you are a young college kid trying to interact with college-aged customers (of the female type), being behind a seafood counter doesn’t work to your advantage. I am convinced if you can sell seafood you can sell just about anything else. One of the things I saw first hand was what I’ve called Jeremy’s law of supply and demand. I took economics in college and you probably did too. You probably didn’t learn about Jeremy’s law of supply and demand though did you? My law of supply and demand says that c + c = $. That is one customer + one customer = cash money and lots of it. I could literally go an entire hour without any customers and all the sudden one customer would order something and almost instantly others would appear. It was odd and it was very consistent. I would get that flood of customers and then business would die off again. I don’t know if you’ve seen this concept in life but it always fascinated me. I contemplated majoring in psychology in college, I always loved my psychology courses. I always wanted to try an experiment where I paid someone to have a cart full of products who played the role of an actor who came by my counter every five minutes. My hypothesis is that my seafood sales would at least double but I never got to put my theory into practice. I think the reason why customers attract other customers is for many reasons like the common peer pressure tactic many marketers use but I also have another theory. I think in part people don’t approach a certain area of the store because I am standing behind the counter and it is awkward for some to approach. I have always wondered if part of the reason people are more likely to approach a department when someone else is already there is it helps to ‘break the ice’ in some unconscious way. If you have a business and can try putting this theory into practice, I’d love to hear what has worked for you. OK so you are probably thinking “OK Jeremy great…and crazy Seafood business theories…but what about everyday life…how does this theory work in real life?” I’m glad you asked skeptical person, I have an interesting video that demonstrates this theory in about 3 minutes. In the video, you will first see a guy dancing all by himself in an audience. In the first 30-45 seconds, another person joins him and every 20 seconds or so after that more and more people start to join him until it becomes a viral event. In life, there are a few people who will do something despite what others think and it takes just a few people to join that person to create a movement very quickly. If I took more than a few semesters of psychology I probably would have learned what theory can be applied to these types of events but for now, I’ll pretend I’m the only one who has ever thought of this.